Anila Chaudry, a second-year medical student at Johns Hopkins University School of Medicine, sits across from a community member at a local elementary school. Chaudry describes the airway, how air moves in and out of the lungs, and how it’s all related to asthma. The community member has a son with asthma. She came with questions, concerns and an open mind. She left with answers and the confidence to manage her child’s asthma. Chaudry, along with Johns Hopkins undergraduate Sarah Benett, have lead B’more Asthma Free since this summer. The project falls under the medical-community initiative Medicine for the Greater Good, which focuses on partnering with the community to help overcome issues of health literacy and access to medical information. Medicine for the Greater Good, based out of Johns Hopkins Bayview Medical Center, was launched as a formal curriculum at the internal medicine residency program at Bayview in 2013. Currently it is a curriculum available at the medical school, nursing school, school of business and the Johns Hopkins undergraduate campus. Since its launch, over 70 projects in Baltimore City have been implemented, and over 10,000 citizens have been affected. B’more Asthma Free, specifically, intends to help parents overcome barriers toward asthma care for children in Baltimore City. 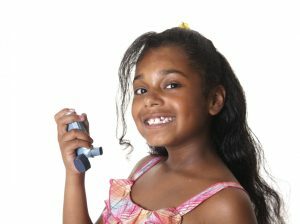 By partnering with local schools and community centers, Chaudry and Benett, along with expert physicians, discuss asthma: what is it, how to manage it and how to be aware of exacerbations. The project involves two parts. First, a partnership with schools and local community centers. For example, Armistead Elementary School and Dundalk Elementary School are two such local schools that have signed up for asthma classes. With that, a community center near Luzerne Avenue invited the students from these schools to talk about asthma to their community. The second part of the project involves connections and continuity with the community. To that end, Chaudry has created a Facebook page for B’more Asthma Free, with insights and educational tips posted weekly by Benett. Since July, the initiative has picked up great momentum, thanks in large part to Chaudry’s persistence even in the face of low turnouts. “And whoever saves one life — it is as if he had saved mankind entirely,” she told me. Thus far, seven asthma classes have been held and close to 30 parents have attended, each parent leaving with answers and confidence to manage their child’s asthma.